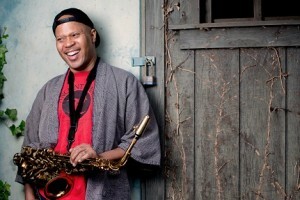 Composer and saxophonist Steve Coleman started his experience in New York City with a two-year stint in the Thad Jones-Mel Lewis Orchestra. The band’s famed residency playing Monday nights at the Village Vanguard included Coleman’s tenure between 1978 and 1980. By 1985, Coleman had formed a loose collective (M-Base—a kind of acronym, but never mind) that was exploring a new intersection of funk/soul and jazz. Early heroes like Maceo Parker cohabited with the likes of Charlie Parker and Cecil Taylor in this music. With the new sound of hip-hop creeping in around edges too, nothing else sounded quite like it.